Let me preface this with, we are expecting a foot of snow from Saturday evening till Monday morning here in Bismarck, ND, so garage sale season is not here yet. However, I noticed that there were two churches in town that were holding sales to raise money. Since everyone else had plans I decided to hit them before I started my day. Neither had a lot of stuff that I am typically interested in,; but I didn’t find a couple of things. The second sale started at 9. When I drove up right before the door opened there were 80 people waiting in line. Yes, I think we all want nice weather, so we can start treasure hunting. 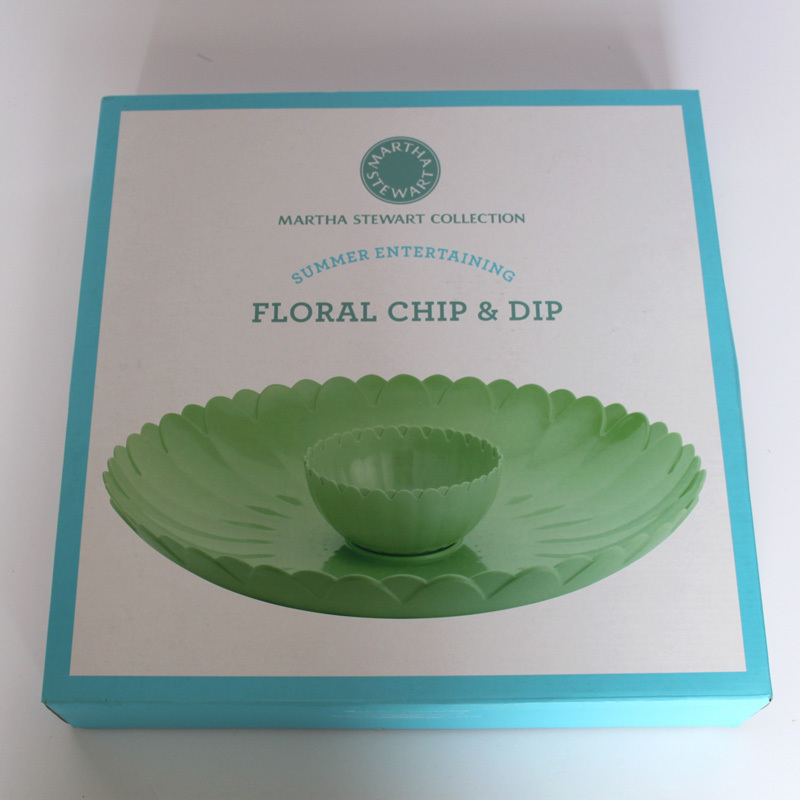 The first item was a brand new Marth Stewart Floral Chip & Dip set that was new in the box and still in its plastic. I love green. I just had to grab it. It will be spring someday, and if not, I don’t have to wait till spring to use it, do I? 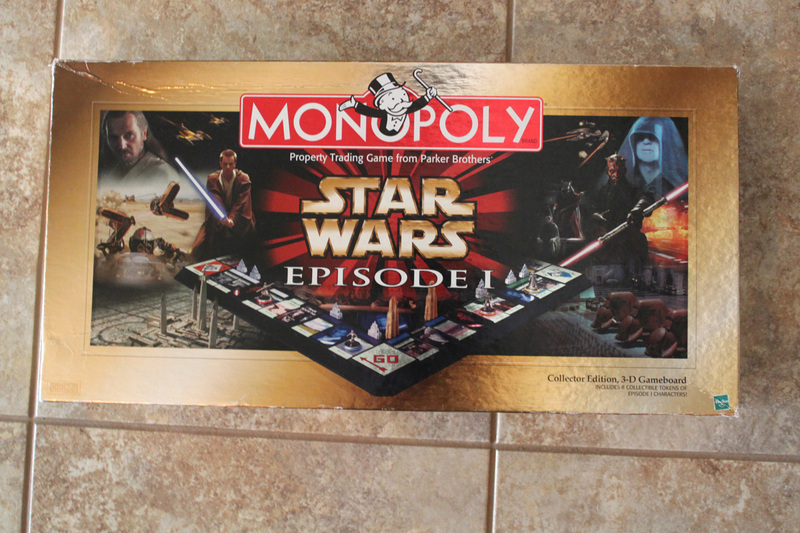 I grabbed this Star Wars 3D Monopoly game. I know Star Wars is ever popular, so I figured I might be able to sell it. My boys immediately snatched it up to play with it when they saw it. At least I know that Star Wars is popular. 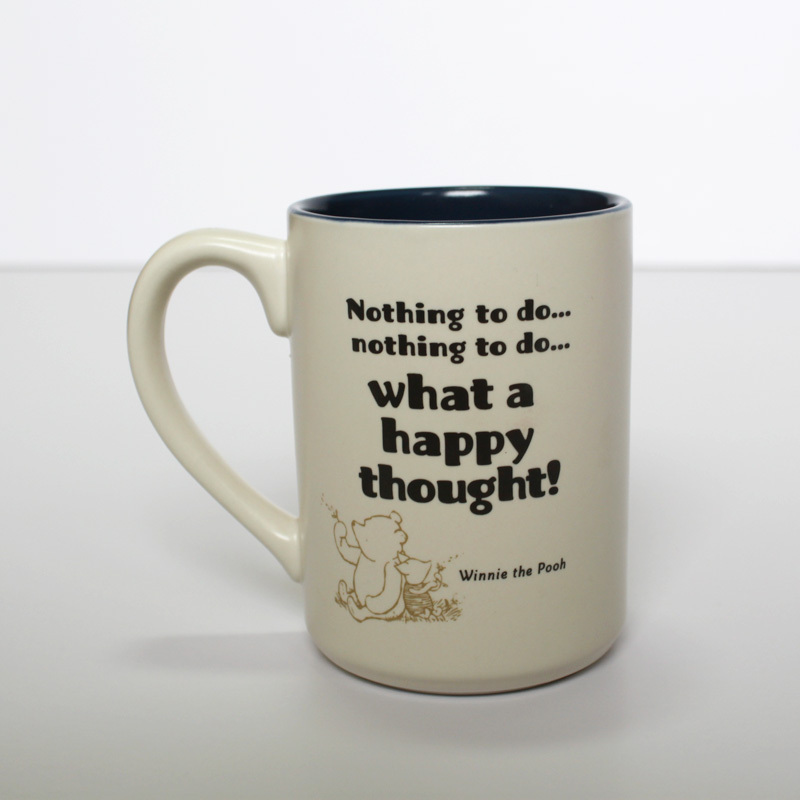 Winnie the Pooh seems to remain popular as well, so I bought this like-new mug. And of course Disney is always popular too. 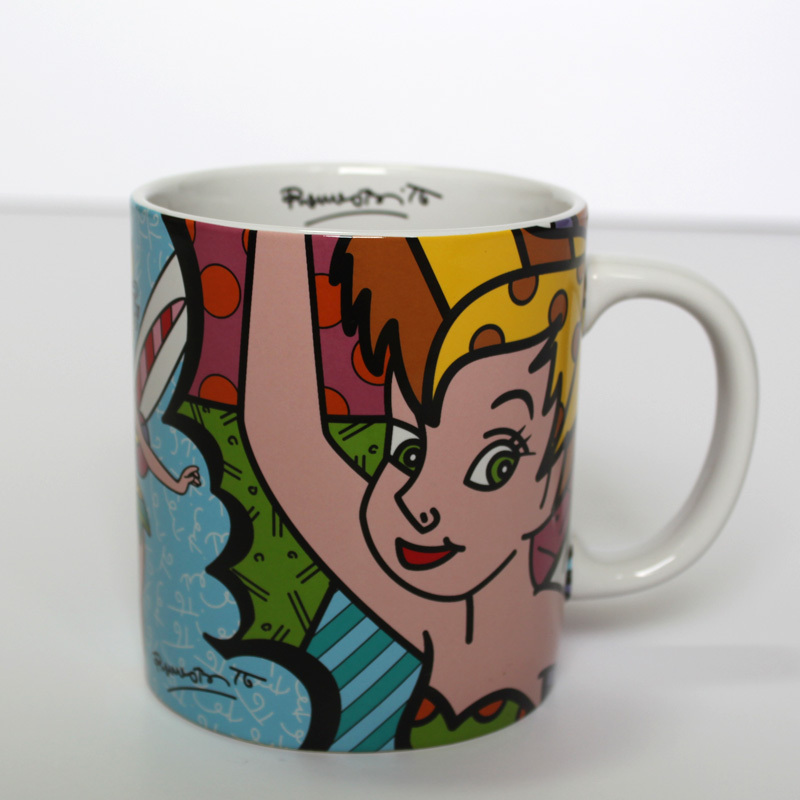 So I grabbed this like-new Romero Britto Tinker Bell Mug too. I also found an eagle mug that I thought Z would like for his room to hold pens. One of his decorations is eagles. I was right again; it was in his room before I could take a photo of it. At least I can pat myself on the back since I seem to know what is popular. Ha. 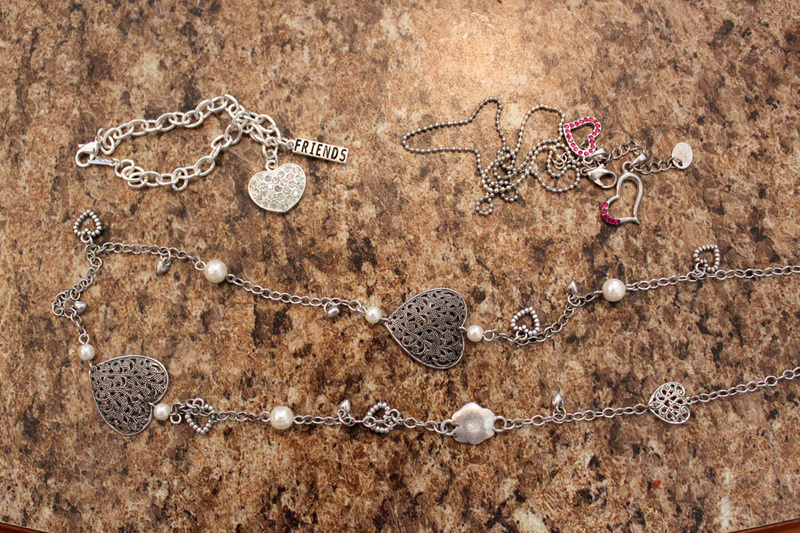 Finally the last items were these pieces of jewelry. I have been wanting to try to make some Ribbon Bookmarks. When I saw these charms, I figured it was worth buying them to add to my bookmarks. For 10 cents a piece I don’t think I was taking too big of a risk. That is it. I wasn’t at either sale long. Had things to do around the house. Yesterday was my husband’s birthday. He took the day off. We went out for lunch, did a little shopping and went to the Garden Expo. We had a blast, so I figured I better get home and get something done. Did you find anything this weekend? At least you found patience. I am looking for mine. 🙂 Sounds like your busy. Let’s hope garage sale seasons starts soon for both of us.